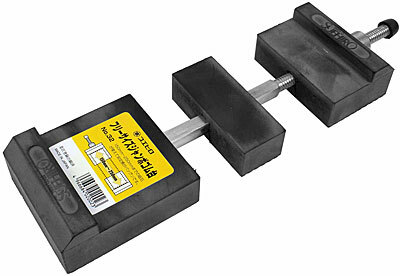 Note: These whetstone holders smell either strongly or less strongly of rubber. In the past it was easy to categorise whetstone holders: the cheaper ones smelt stronger, the more expensive ones smelt less strongly or hardly at all. Our recent experience shows that this situation has obviously changed. The smell volatizes with time. However, if you are sensitive to odours, this assurance is unlikely to satisfy you. 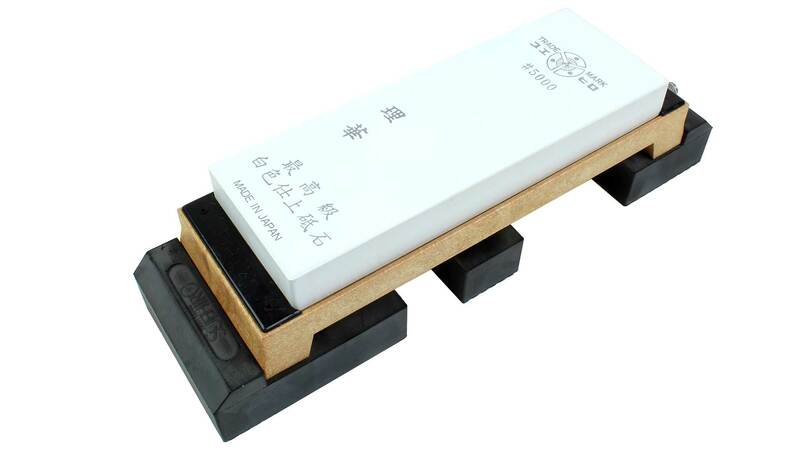 Following a smell test performed on June 15, 2018, we can offer you this tip: the least smell is exuded by whetstone holders from Japan with code 309800. Less sensitive testers detected hardly any smell at all here. 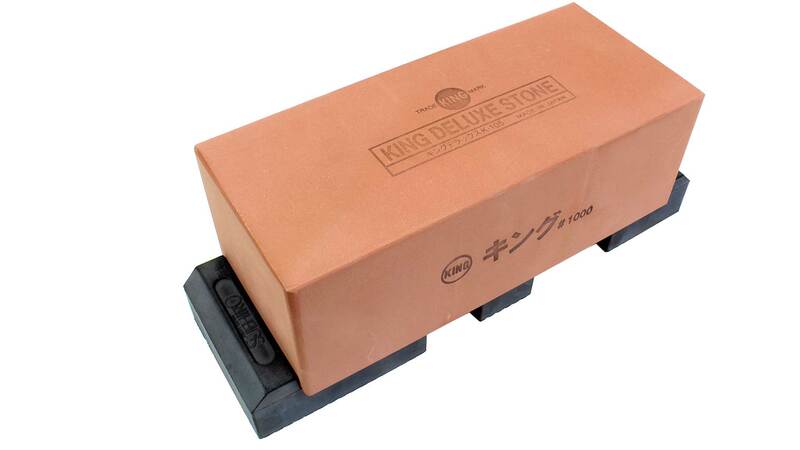 Whetstone Holder made in Taiwan This Whetstone Holder will hold all sharpening stones width length from 150 mm to 220 mm. Width of rubber feet 70 mm. Two rubber feet keep the holder firmly planted. 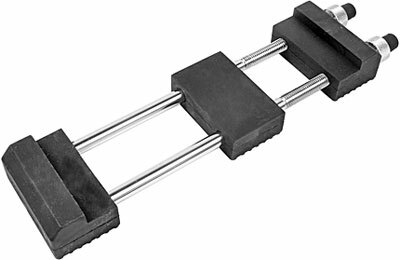 The rubber blocks glide with some play. 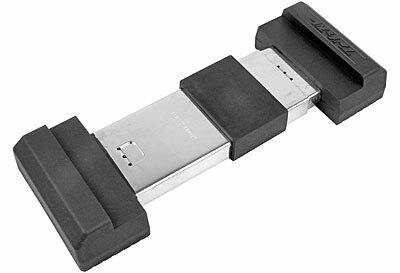 Whetstone Holder made in Japan This Whetstone Holder will hold all sharpening stones width length from 185 mm to 220 mm. Width of rubber feet 70 mm. Two rubber feet keep the holder firmly planted. 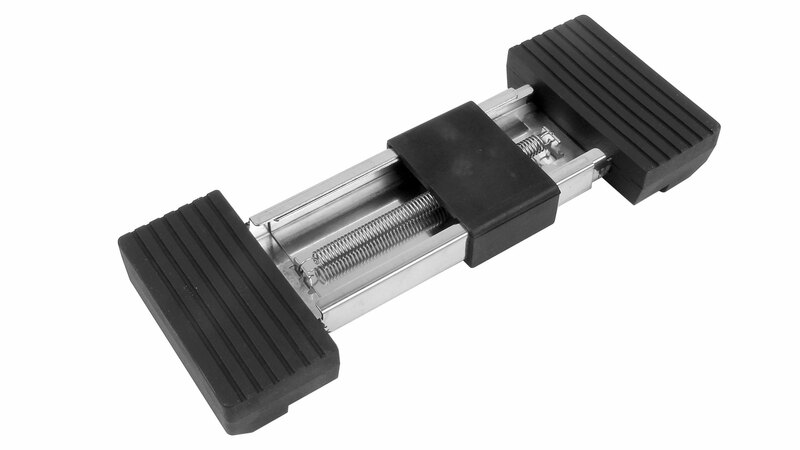 Precicly machined, the rubber blocks glide without play, high precision threads. Winner of the smell test! This one smells the least! Holder for Whetstone with unvisible Spring Action - made in Japan The stone will be fixed with the not visible spring on the underside. 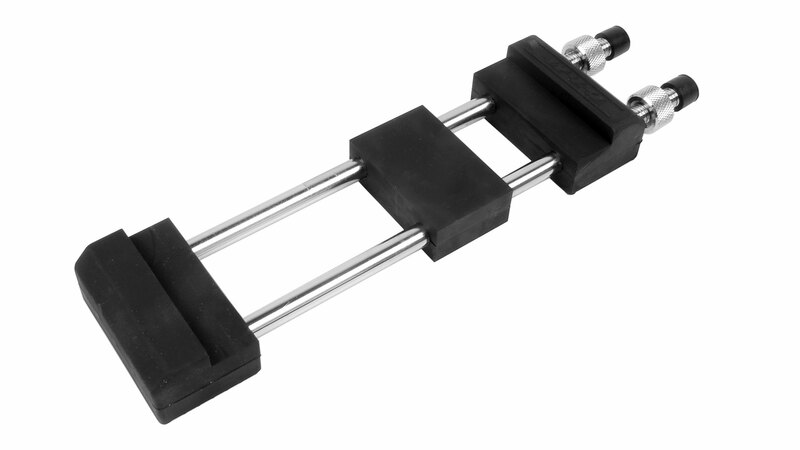 The third rubber foot in the middle is very useful for thin stones who easily can brake. 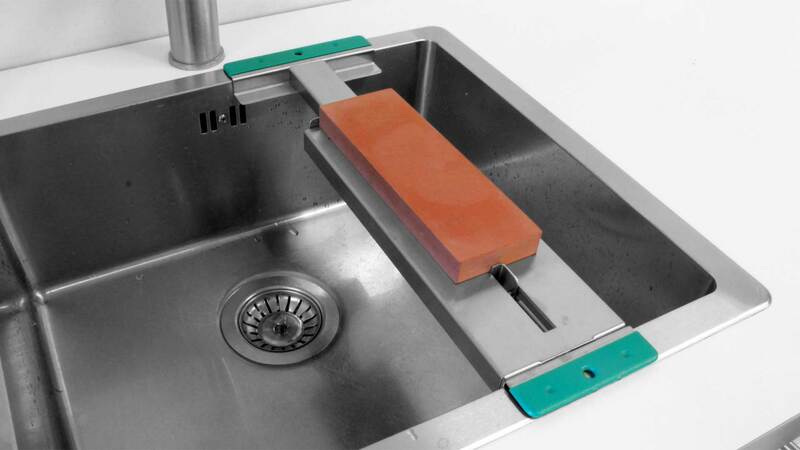 NANIWA Sink Bridge This sharpening stone holder is designed to lay over a sink, allowing you to keep your stones and your workplace clean with running water. Forget about the slimy gritty mess normally left around your water stones! 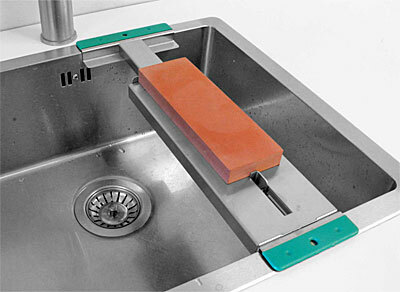 The holder has soft rubber pads under the ends to help prevent scratches on the sink edges. 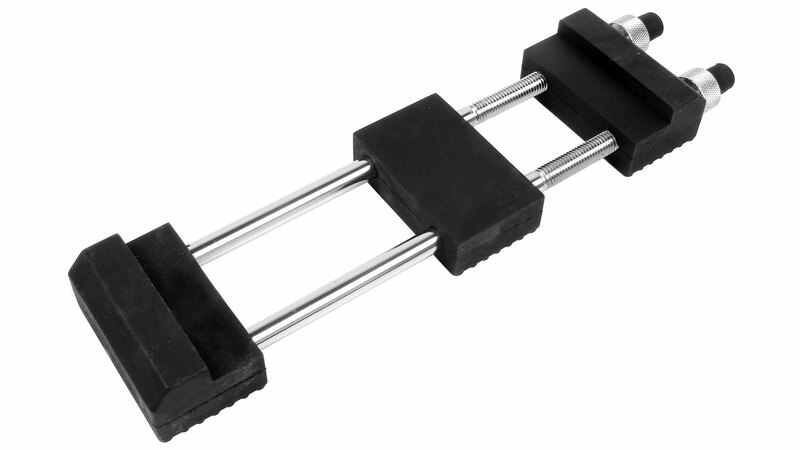 The stainless steel stone holder is very strong and stable. 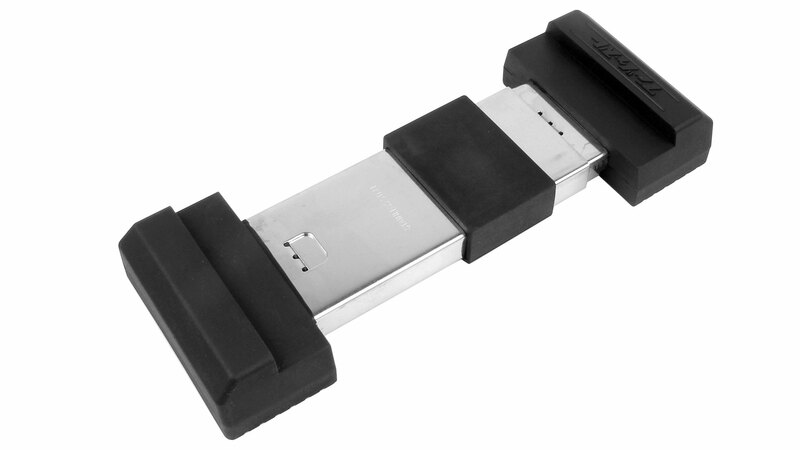 The holder can be used on sinks between 400 - 546 mm deep, from front to back. It takes stones between 203 - 257 mm long. Note on sink sizes: If your sink is smaller than 400 mm, the sliding stainless steel bar can be cut short by up to 70 mm (hacksaw or angle grinder). But the absolute minimum width is 330 mm! 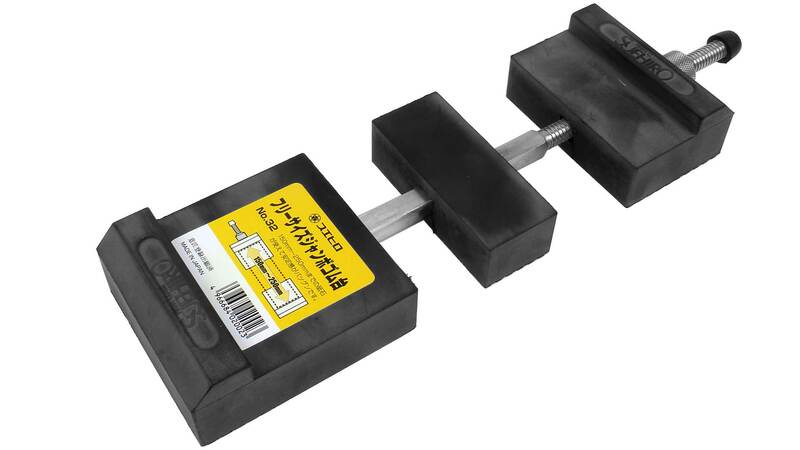 SUEHIRO DeLuxe Stone Holder The largest sharpening stone holder in our shop offers a clearly better holding power with its larger surface. Stones that are wider than the holding surface can also be securely held, for instance King-Giant Stone, which is 230 mm long by 100 mm wide. Even stones that come with a glued-on base will benefit from the SUEHIRO DeLuxe Holder, often the glued-on bases do not provide enough slip resistance. 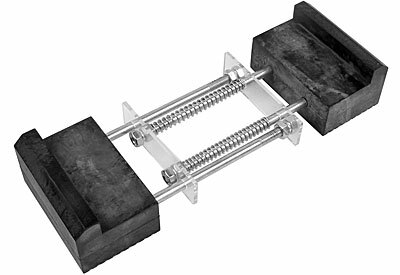 Now you can clamp these stones directly in the holder . 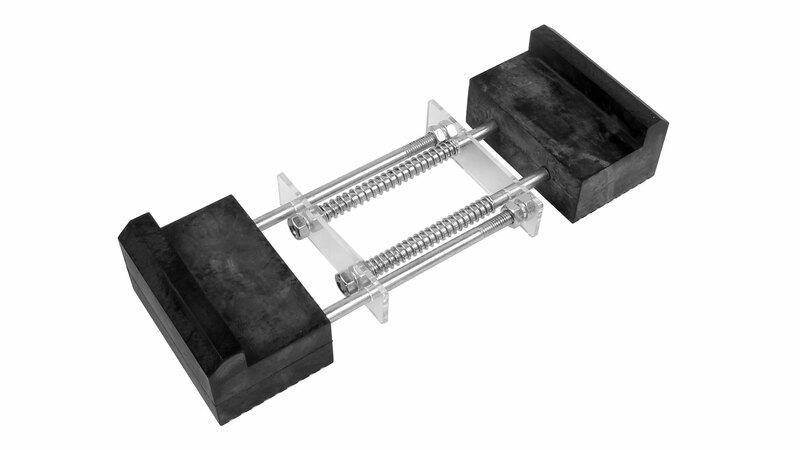 It takes just one thumb screw for quick and easy stone changes.